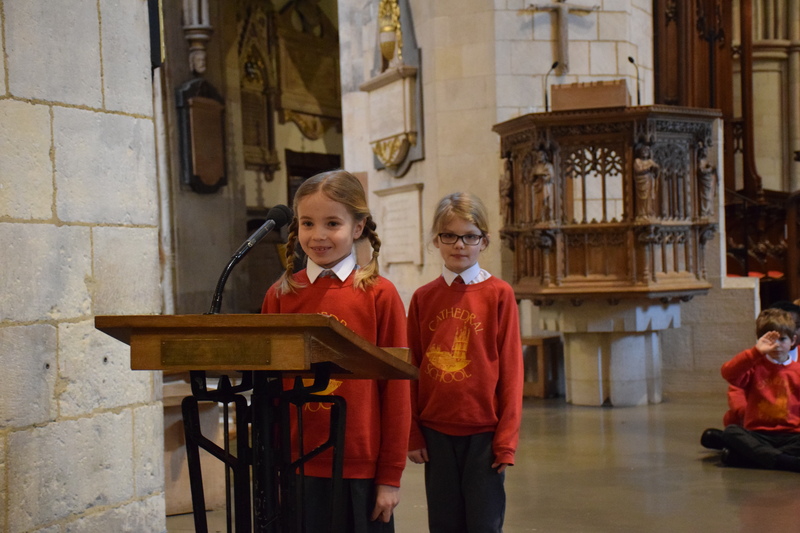 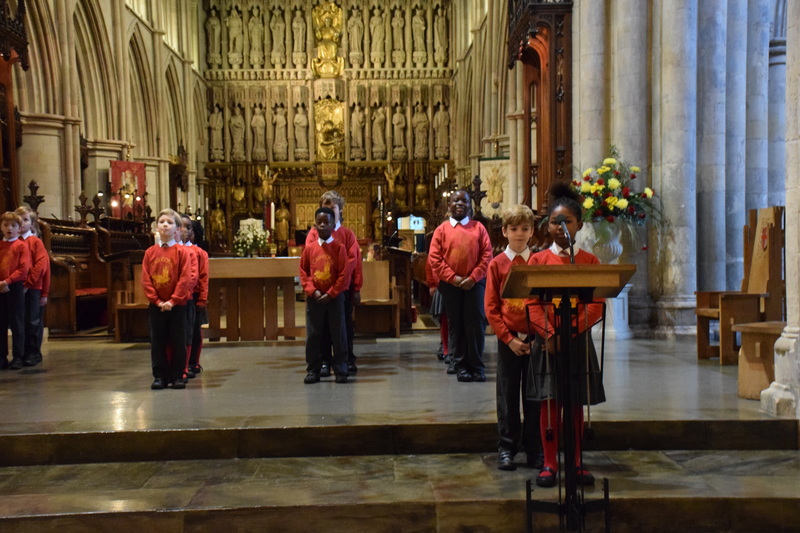 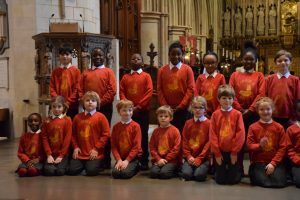 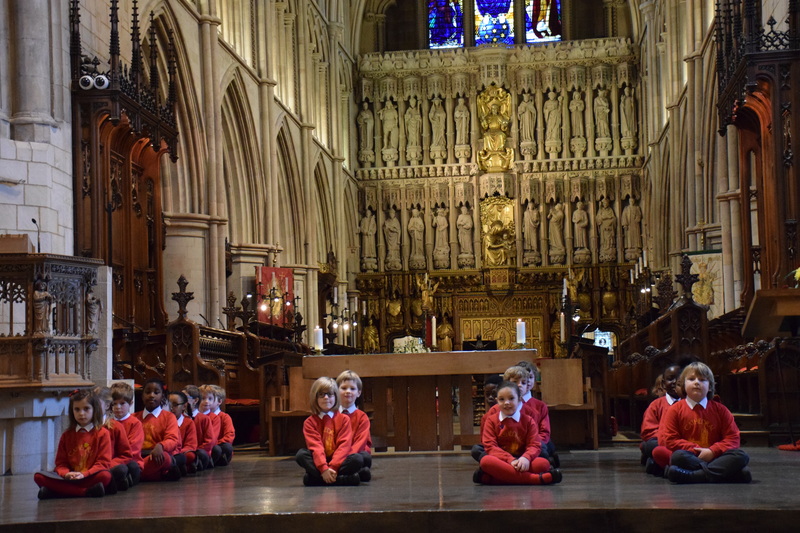 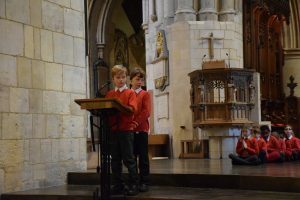 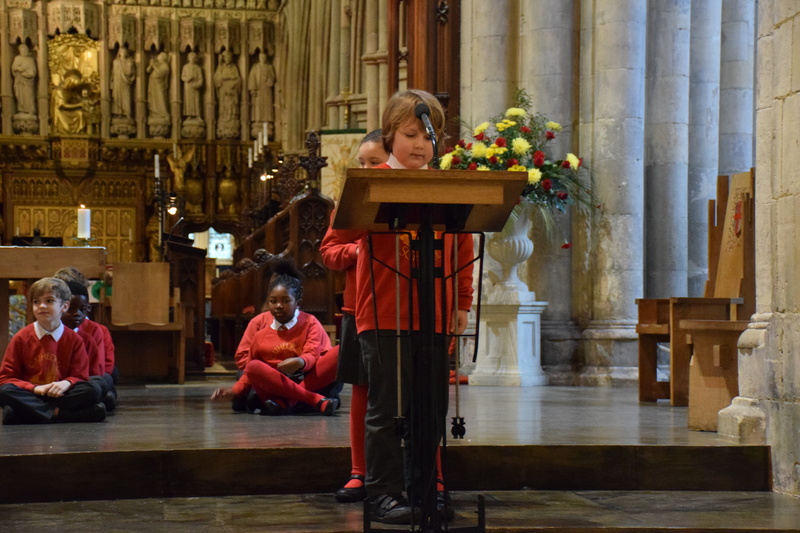 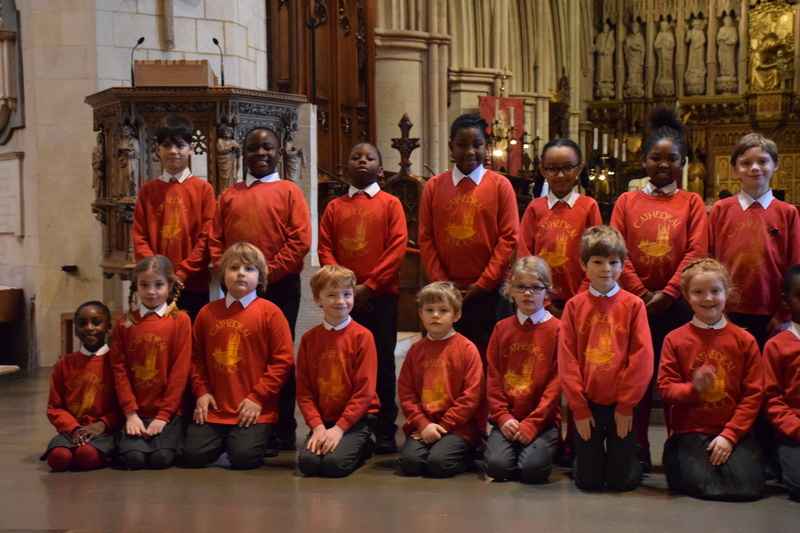 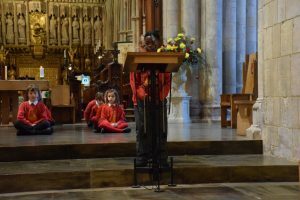 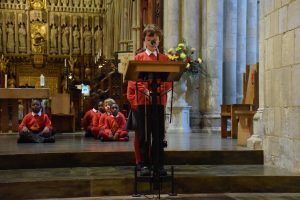 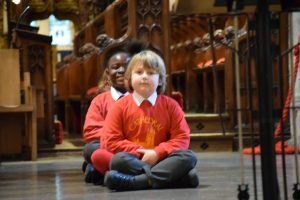 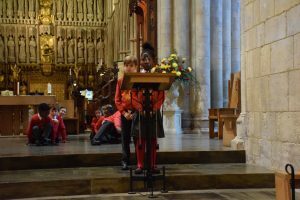 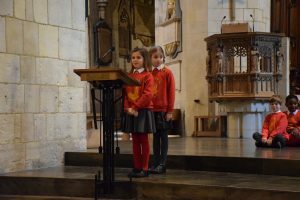 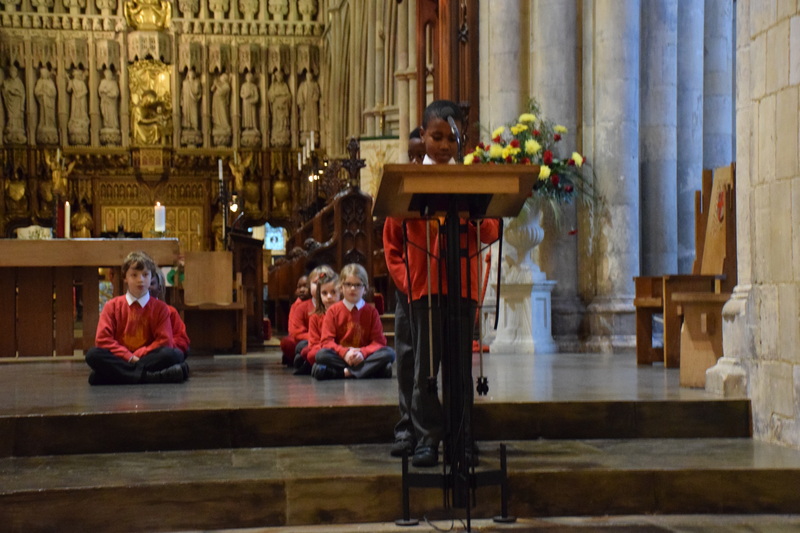 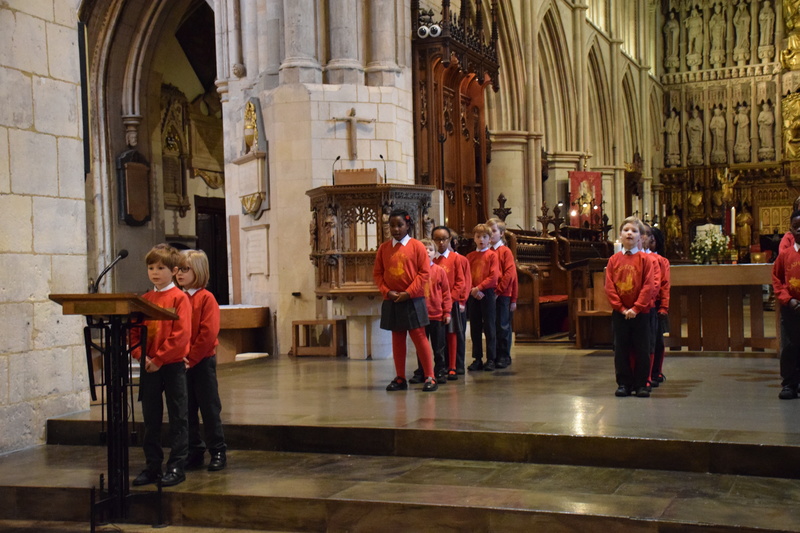 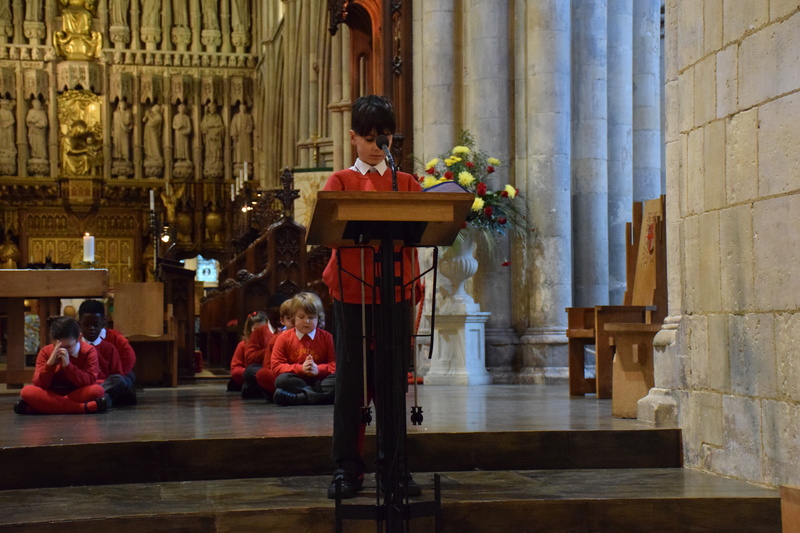 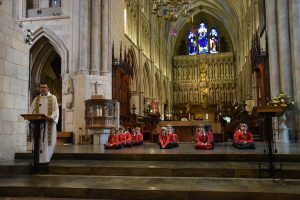 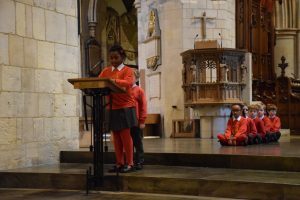 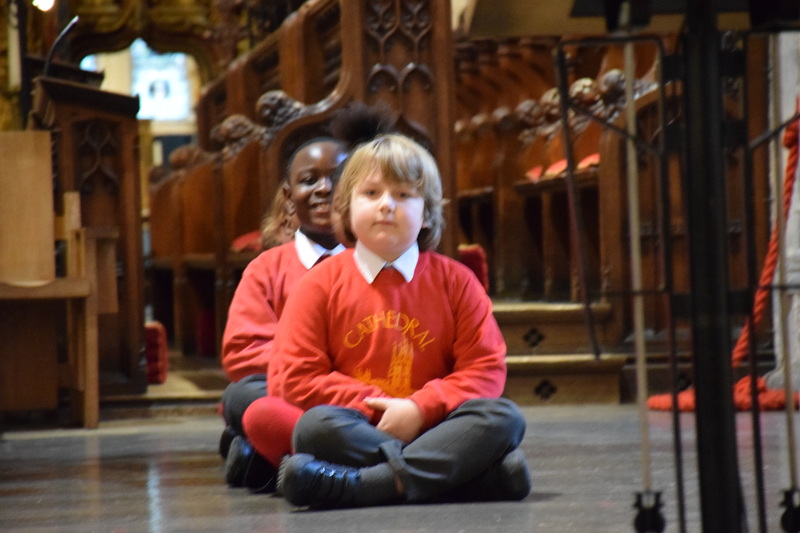 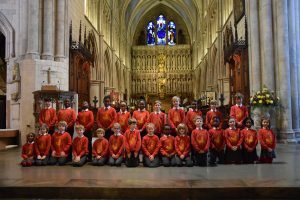 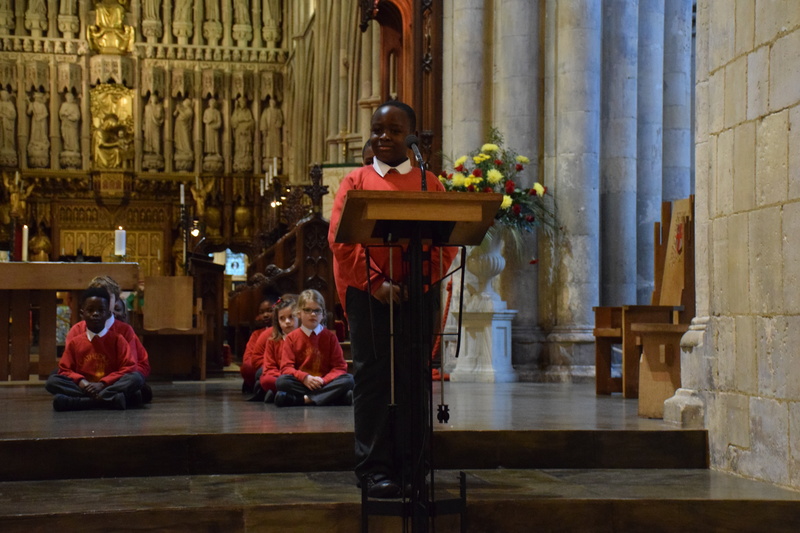 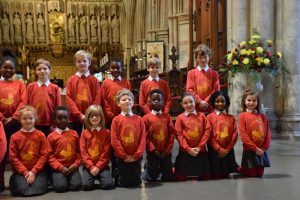 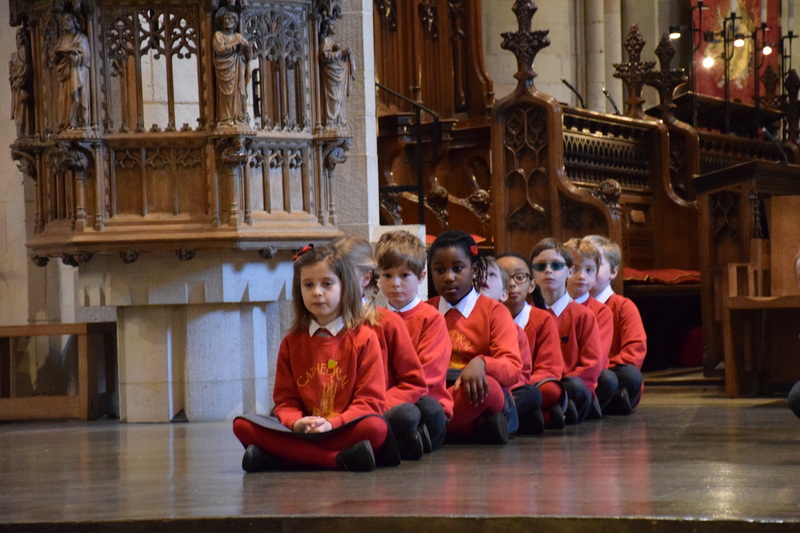 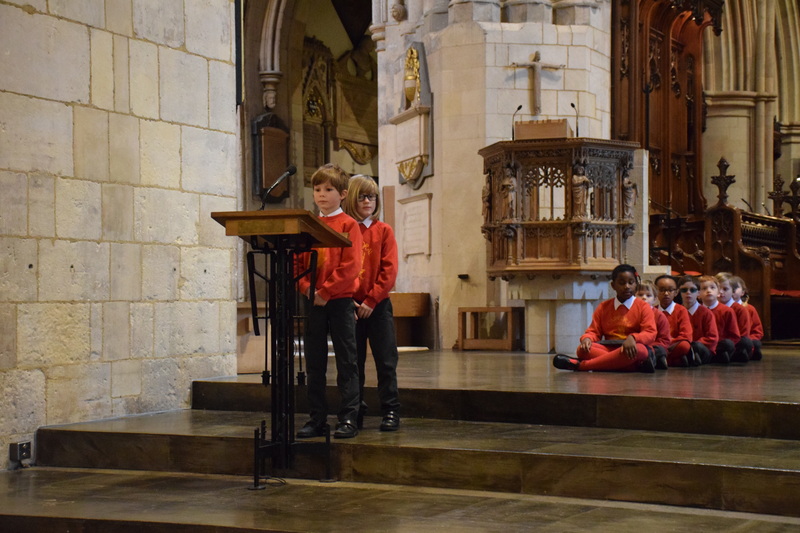 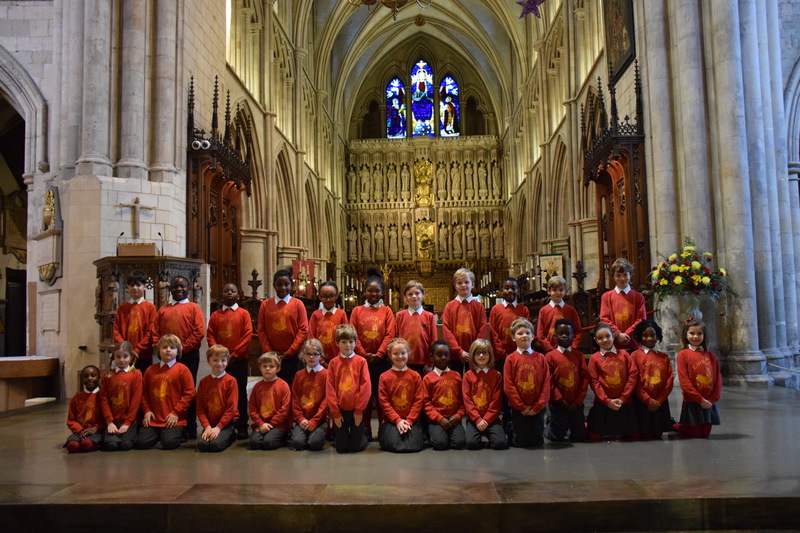 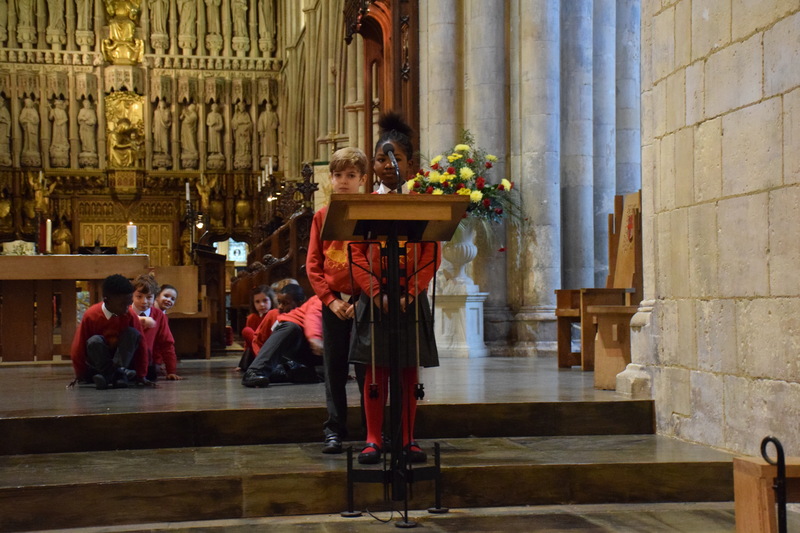 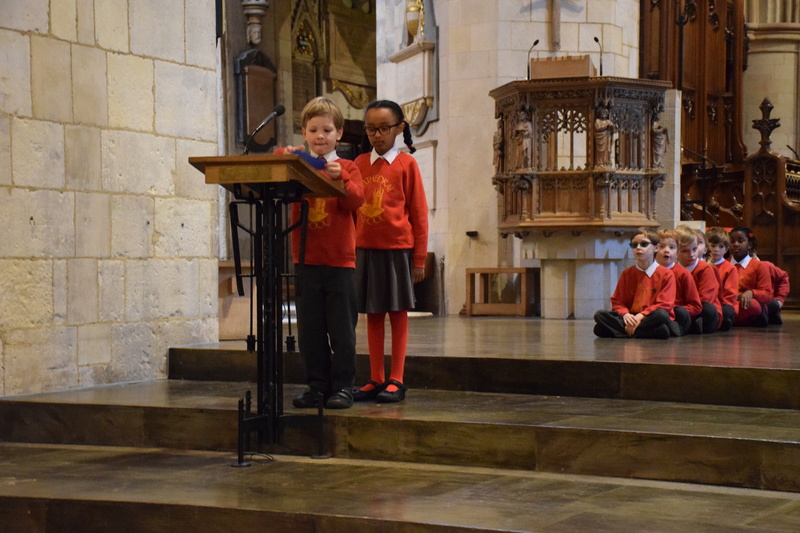 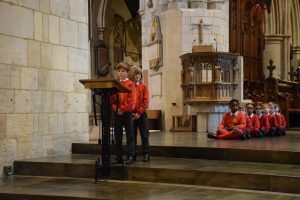 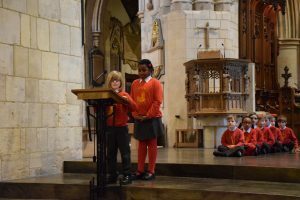 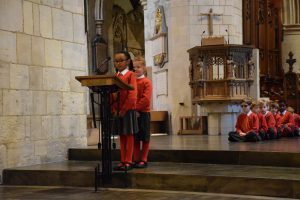 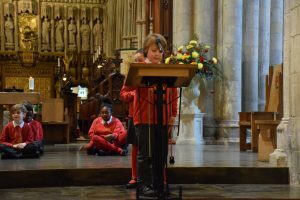 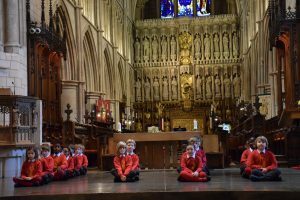 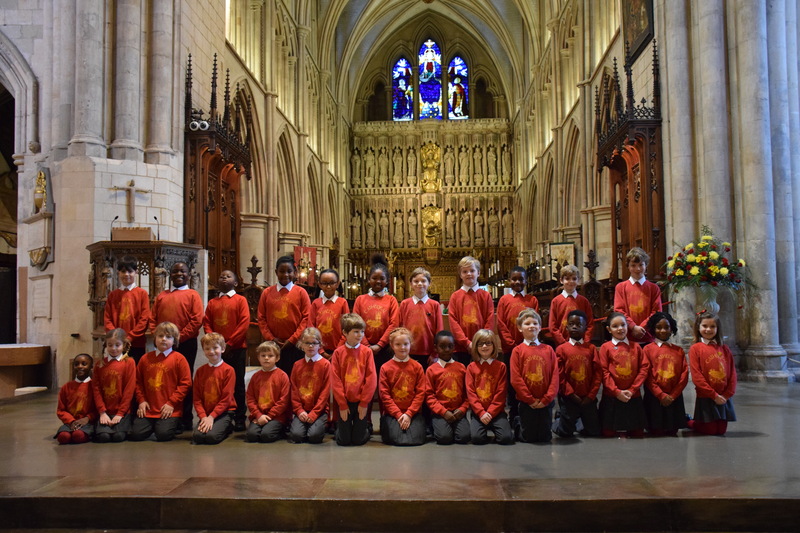 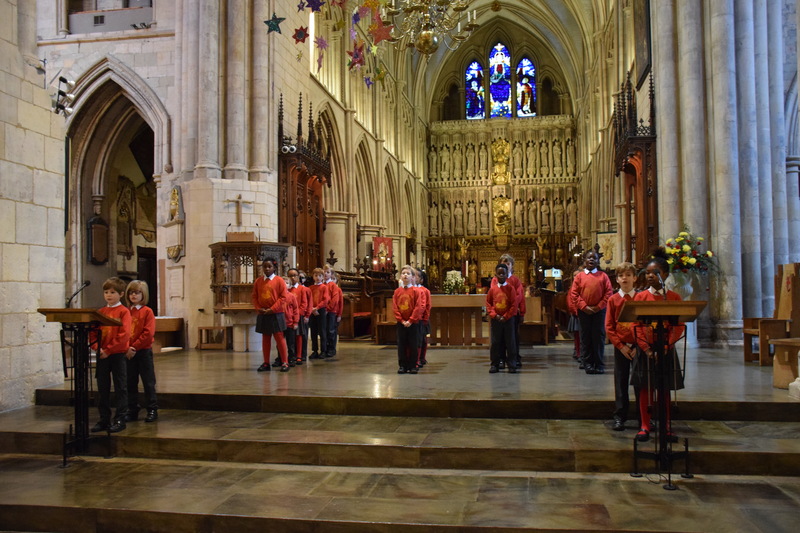 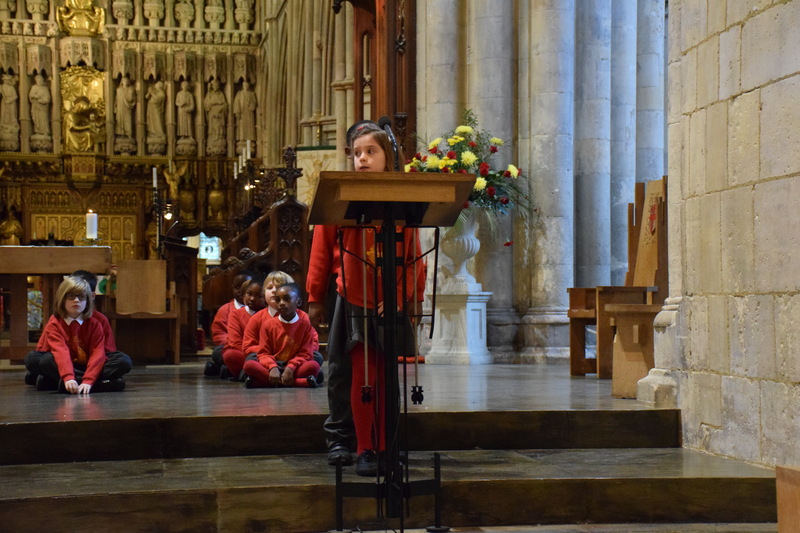 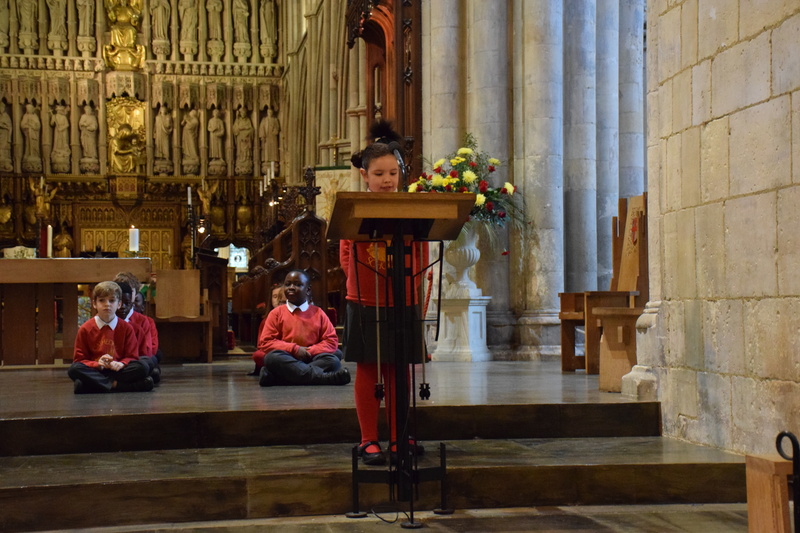 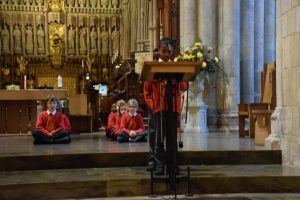 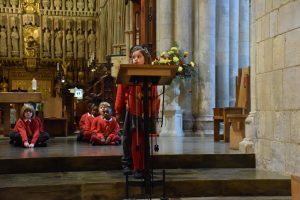 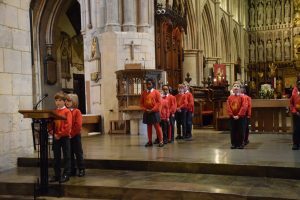 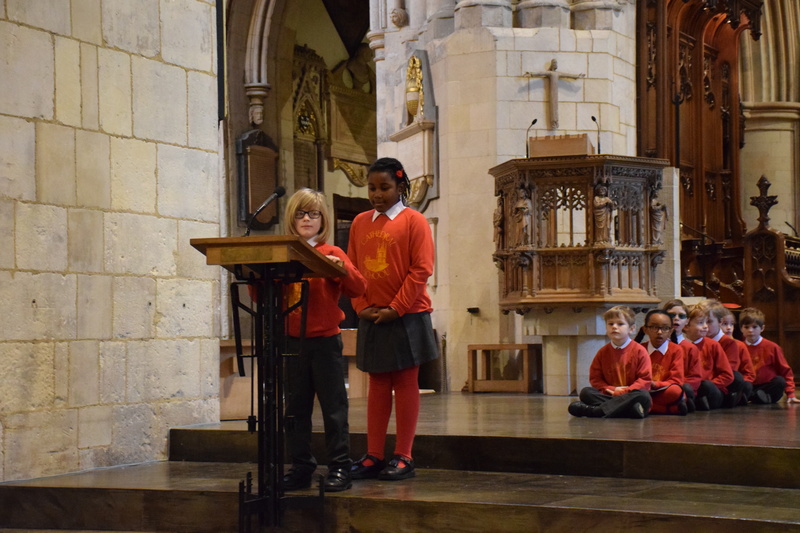 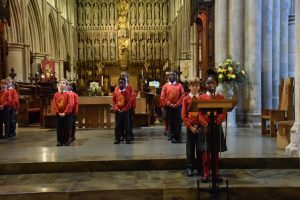 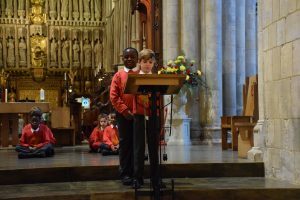 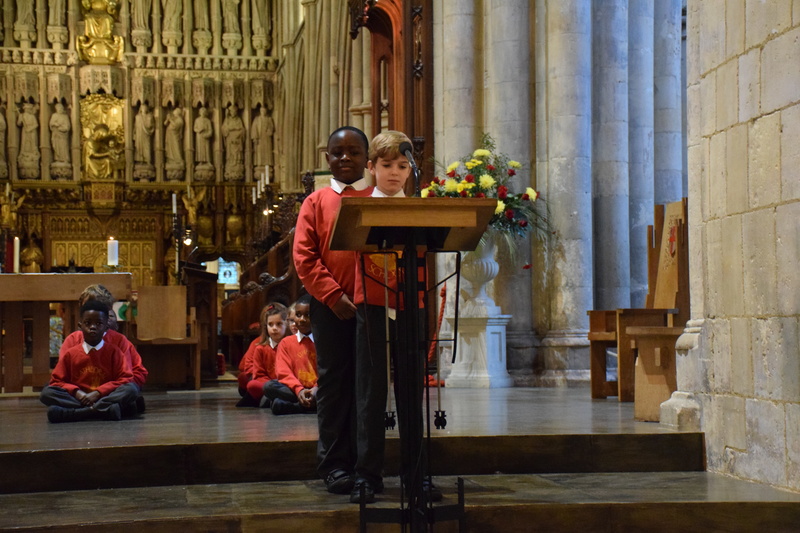 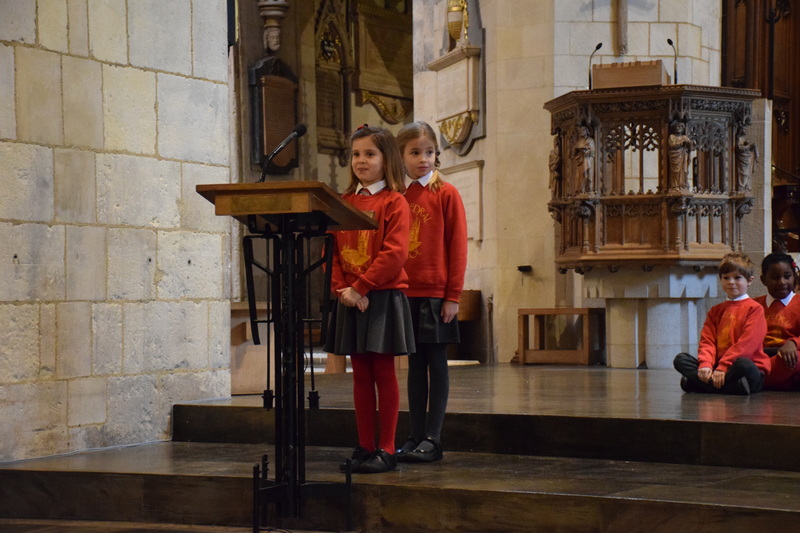 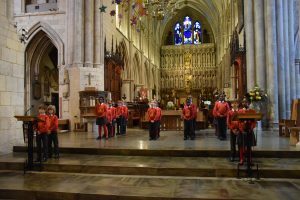 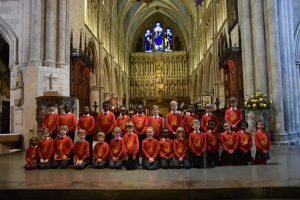 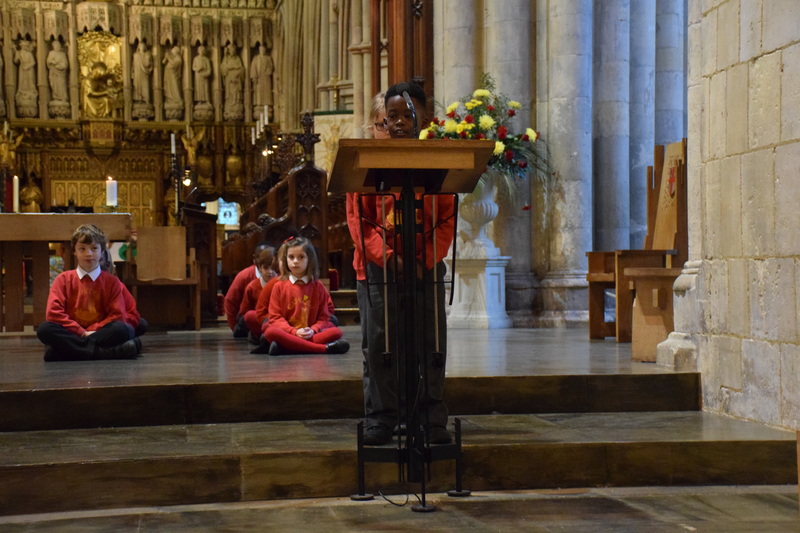 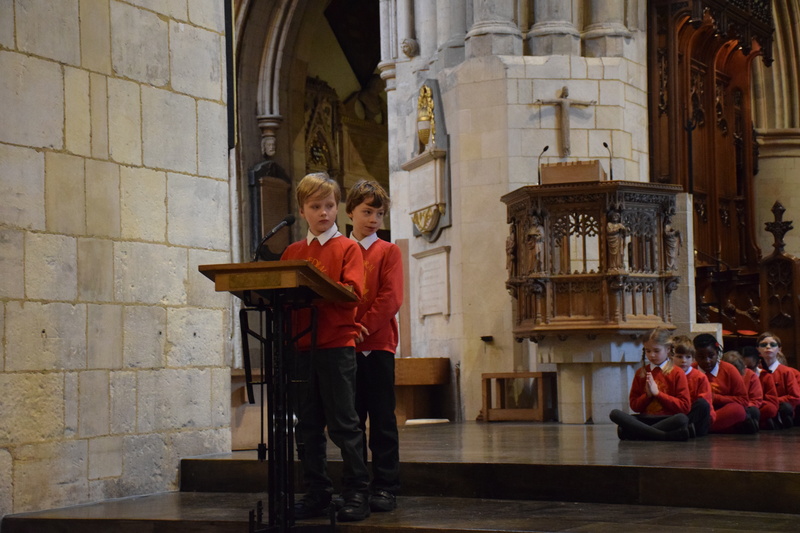 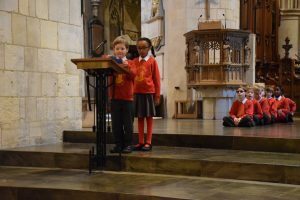 This morning Class 3 led our Candlemas worship at Southwark Cathedral. 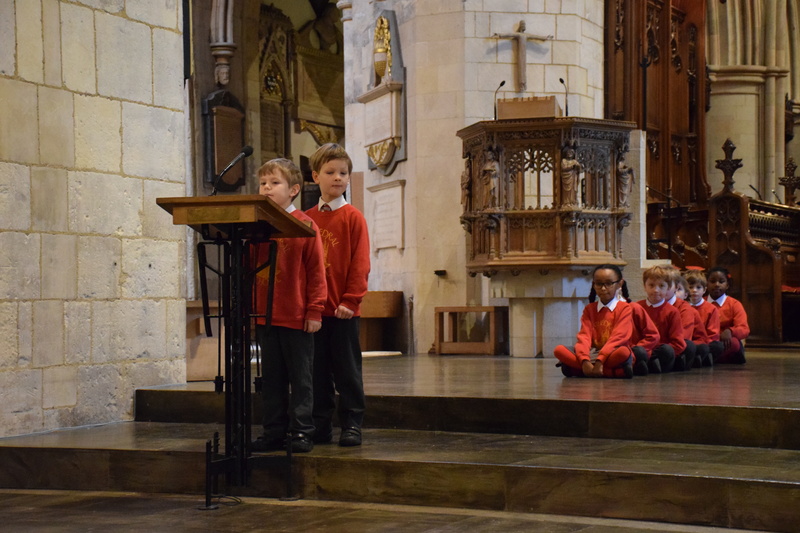 They read a passage from the Bible which describes Simeon’s role in the presentation of Jesus at the temple. 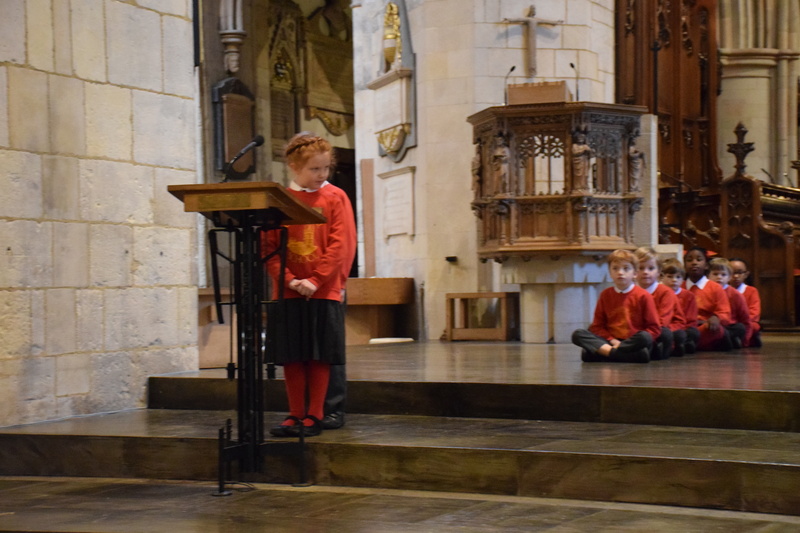 Next they reflected thoughtfully on the importance of light in our lives and how Jesus is the light of the world. The congregation all felt that the class were so poised, confident and reflective. 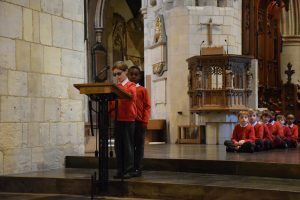 Finally Class 3 shared the prayers that they had written. 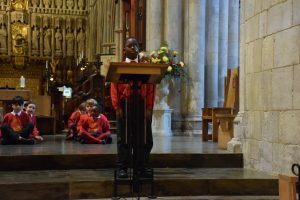 Bless your son since he is the light of the world. 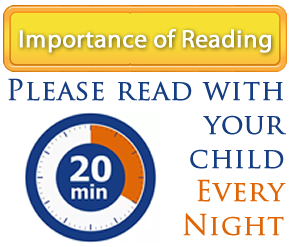 Now with any light source, I can see in the dark. 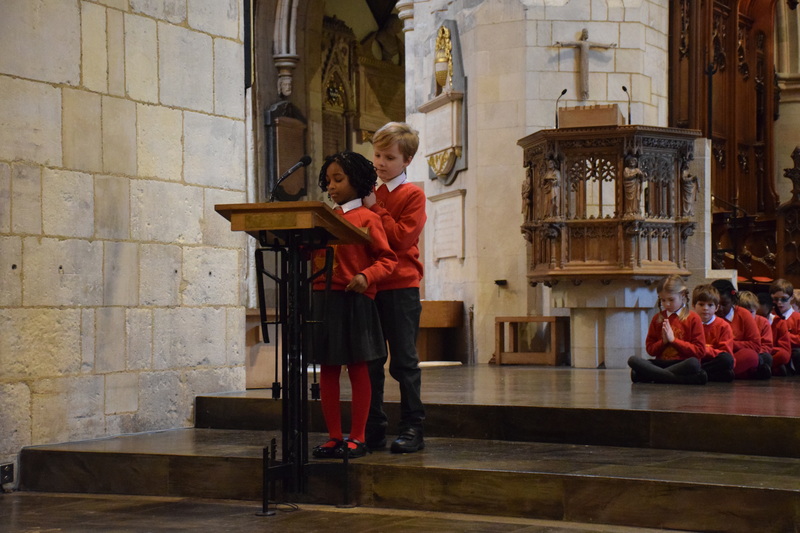 Thank you for Anna and Simeon’s patience, and that they were kind enough to spread the news that the world had been blessed with the Messiah. Thank you for candles, fire and all forms of light that guide us like Jesus does in our darkest times. Please help others in dark countries to receive your light, give them hope and happiness. 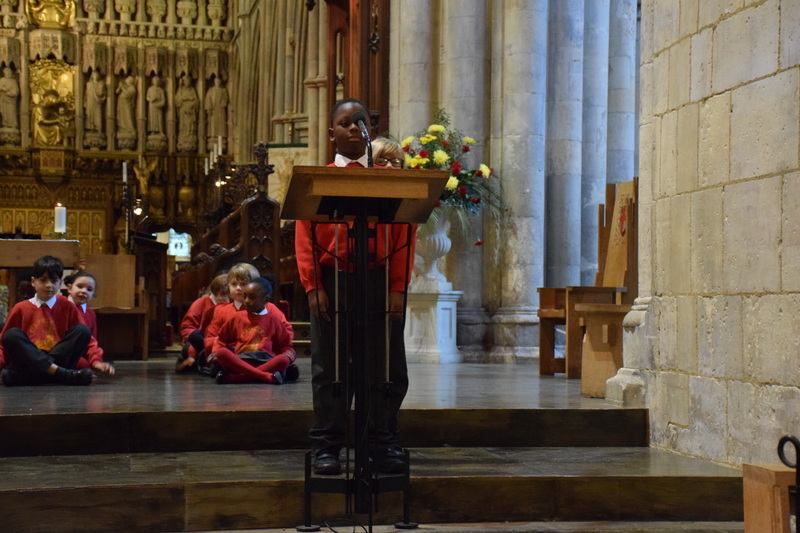 Thank you for providing us with light, warmth and love. Thank you for the patient Simeon that waited for Jesus, the Messiah, to be born. 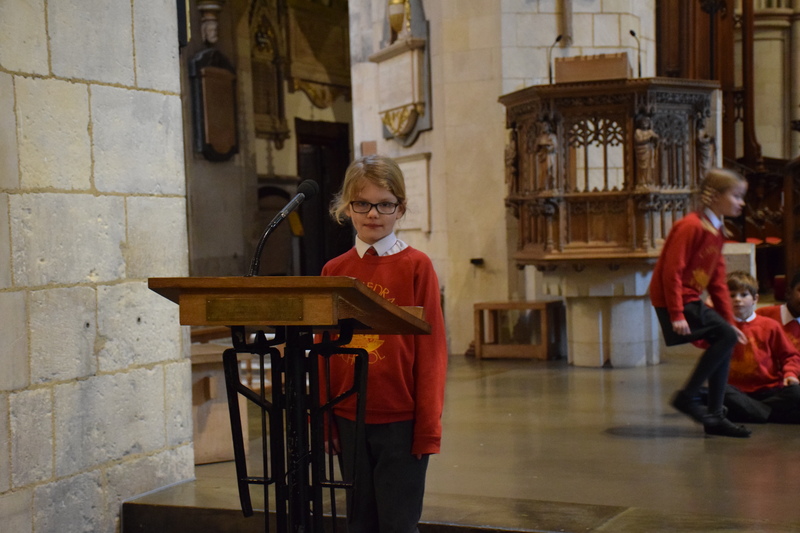 Thank you for Anna who also welcomed Jesus and spread the word. 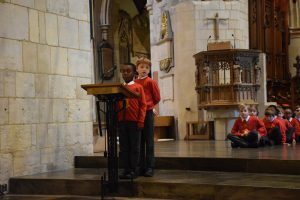 Thank you for the light that Jesus brought to the world. 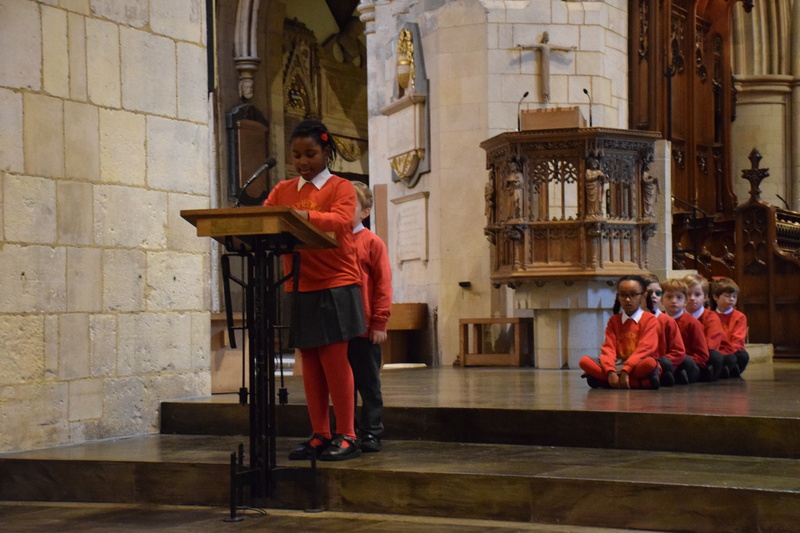 Please help us to recognise Jesus as our guiding light and to hold his love in our hearts. 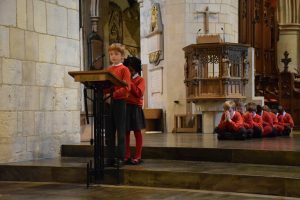 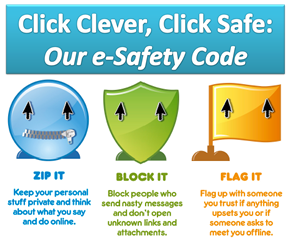 Help us to spread the word and light that Jesus blessed us all with. Thank you for sending your only son to make the world a better place. He makes us feel safe, and he guides us with his light. 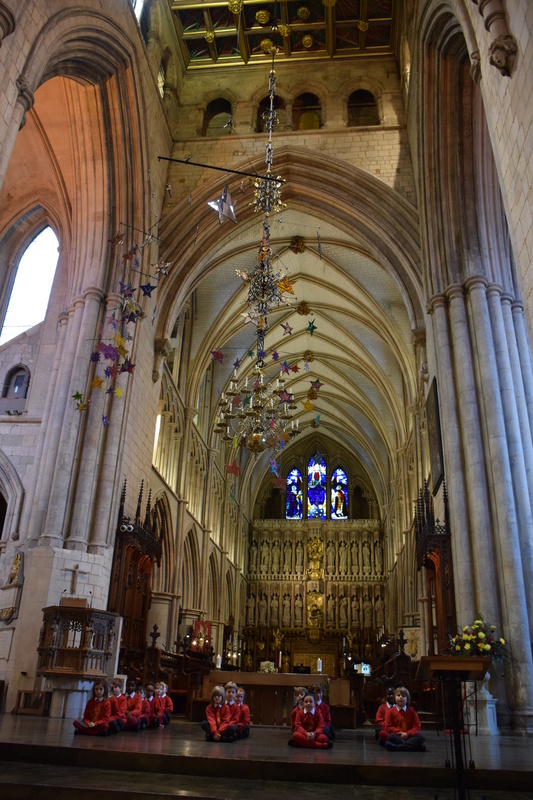 Please help those people who seek guidance from you, help them to see the way, show them your light. We thank you for the light that we celebrate from our lord Jesus Christ, who is the light of the world. 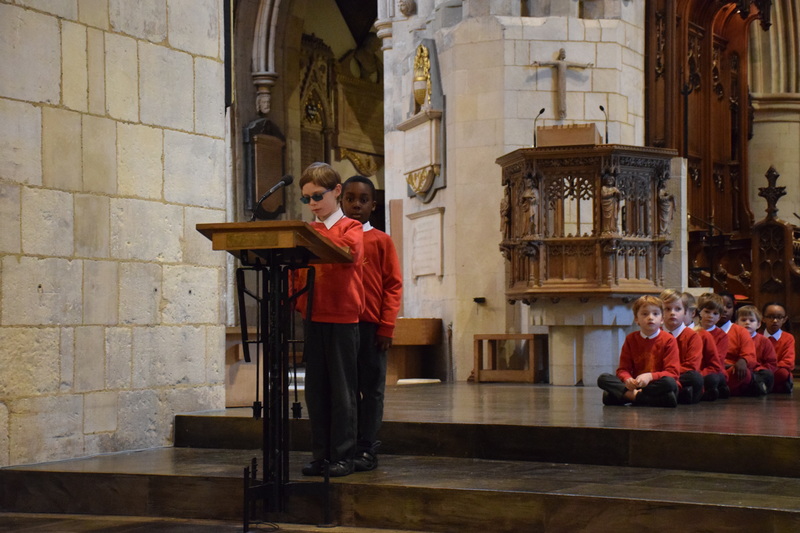 As we share this Candlemas service, in honour of Jesus our Messiah, we ask that you guide us down the right path. We are grateful that you shine on us. 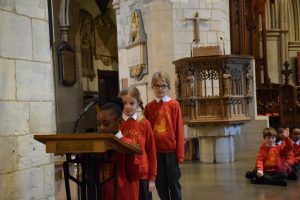 Thank you for sending us a saviour, we will always remember the day you sent Jesus to Earth. 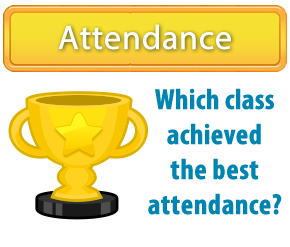 As a result, you made the whole world light up. 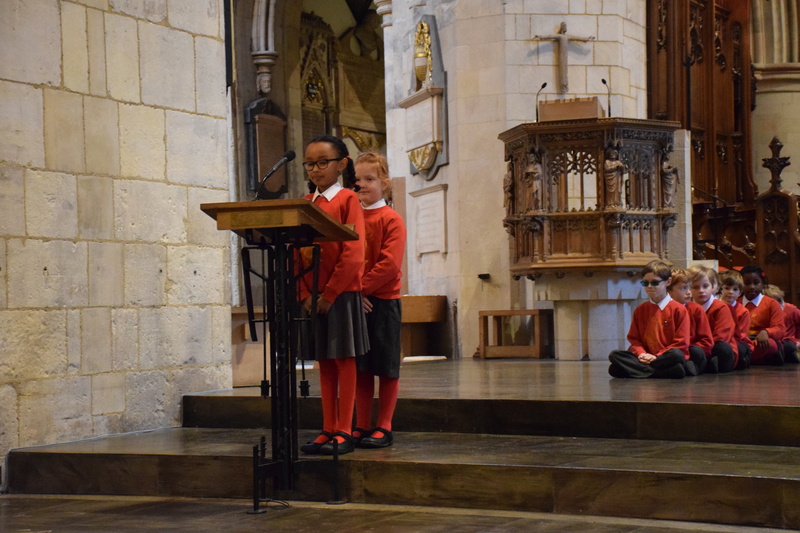 Thank you Class 3 and Father Michael for a beautiful service. 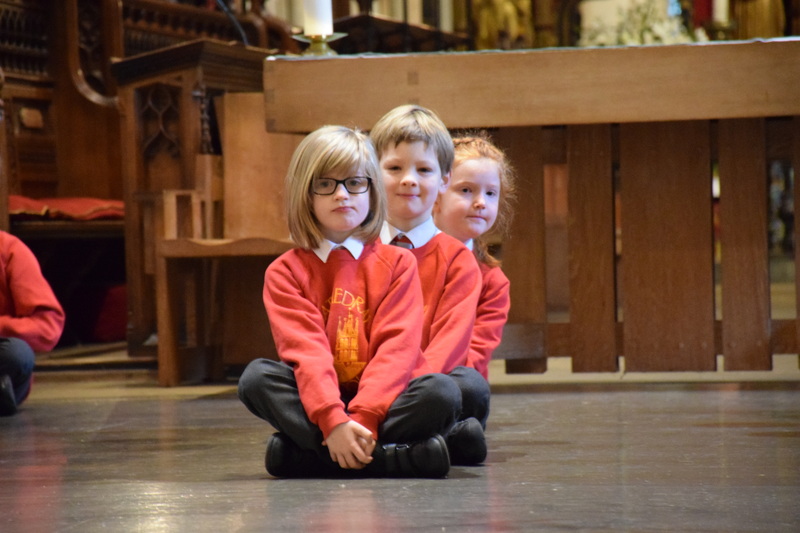 We thank you for light to help us see. Thank you for sending your only son to earth and please bless him. 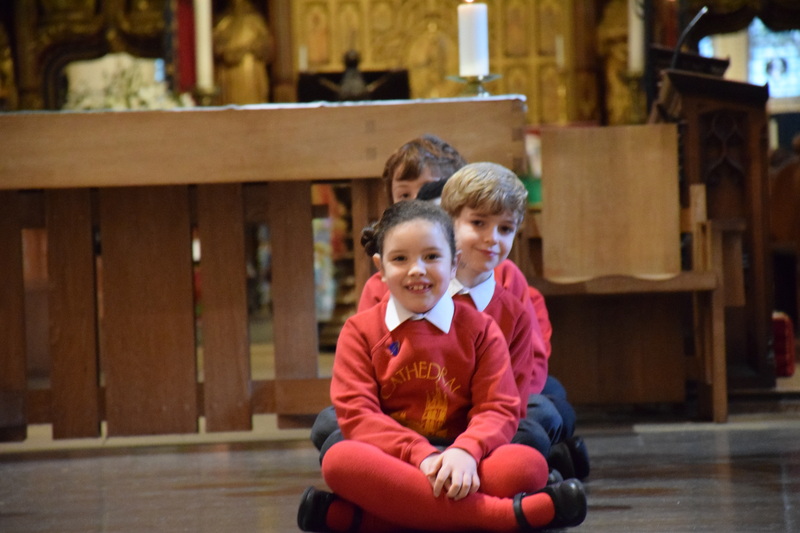 Please help the people suffering in the darkness get light and be happy.Thank you for Anna’s and Simeon’s patience for baby Jesus to be born, and when they saw him, Anna and Simeon were delighted. Now I know we need to be patient in life.